Ascent Partners' philosophy of partnering with management is the cornerstone of our investment approach. We proactively seek industry leading CEOs and senior executives with track records of building value in their companies through internal and acquisition-based growth. We support them with our research capability to develop a compelling business plan, obtain for them the best possible equity and debt sources and help them execute the investment strategy. Ascent is an ideal management partner to execute a growth and value-creation business strategy. Beyond creating unique investment strategies, Ascent is experienced in all phases of the company creation and building process. 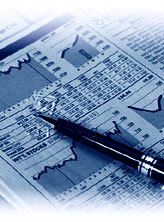 We provide a team of highly experienced professionals dedicated to the success of the company. Our Managing Directors have held senior executive and line management positions in established companies. Our in-depth understanding of the industry, specific acquisition opportunities, operating issues, and growth alternatives, makes us a continued resource in creating and sustaining value. Our capital structures ensure that the management team has the opportunity to acquire meaningful ownership in the company. This gives executives the opportunity to create substantial wealth for themselves and their teams. At the same time, they experience the professional fulfillment of building an industry-leading company. We welcome the opportunity to meet with successful CEOs and accomplished executives who are interested in leading a growth-oriented or "buy-and-build" effort. To learn more about working with us, contact one of our Managing Directors or email us at sforesman@ascentpartners.com.